Now that you have made the decision to invest in a hardwood or engineered floor of your choice, the most important step is to find the best wood floor installation expert in Fort Worth. Before you start combing the internet or asking for a reference from your neighbors or hardwood floor supplier, you can better understand the task at hand if you understand the challenges your hardwood floor installer must solve. While your wood floor selection may seem typical to you, expert wood floor installers in busy Fort Worth view every installation as a new job with its own distinct challenges and solutions. Like the wood itself, no two wood floor installations are exactly the same. Now that you are committed to increasing the value and comfort of your home with a prefinished or site-finished hardwood or with a dynamic engineered wood floor, this is not the time to cut corners. Your best opportunity to enjoy your investment and prolong the life of the floor is to use an expert wood floor installer. In a perfect world, the expert wood floor installer will arrive at your home, find that the subfloor is in great shape and begin the installation. In most cases, homeowners and wood floor installers soon discover it is not a perfect world. Most hardwood floor installation experts charge between $20.00 and $35.00 per hour plus costs and travel. You can help reduce the cost by removing the furnishings to another room. Some homeowners also remove pets for one of two days and a few owners move the family into a hotel for the night. Get multiple, bids and only entertain bids from installers who visit the home or office and inspect the turf before offering a price. 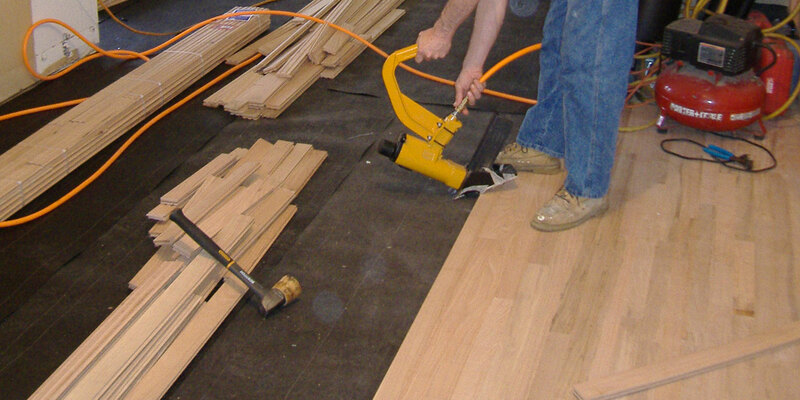 Ask each installer to detail how the work will be performed with specific details about the subfloor. Ask the installer to produce a copy of their insurance policy. Require that you be named as an additional named insured party. Ask for three references for whom the installer has worked. Ask to see pictures of completed jobs in the Fort Worth area. Be sure that payment terms are explicit. Ask for firm start and end dates. Ask for work starting and stopping times. Ask how many employees will be working on the site during the job. Be sure to compare your proposals on an apples-to-apples basis. Make sure there are no misunderstandings about payment terms. It is never a good idea to let the contractor get too far ahead of the work. Before making your final decision, go online and look for reviews about wood floor installers in Fort Worth. Just remember that online reviews are not always as credible as real-time, real-life references. However, if you have followed the protocol above, you will have found the best wood floor installation expert in Fort Worth before the company starts work. Follow our recommendations to maximize the return on your new wood floor investment and enjoy your wood floor for years to come!